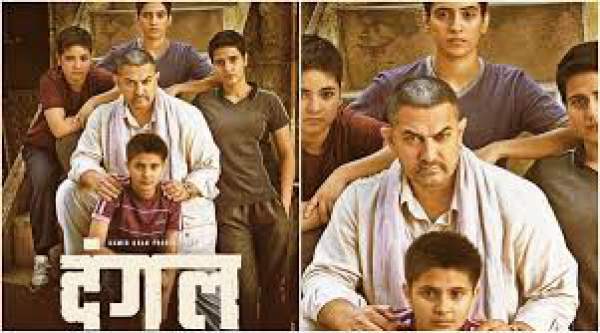 Dangal Trailer: Aamir Khan’s upcoming movie official theatrical trailer for Dangal has been released on October 20th. It is great news for the fans and people eagerly waiting for it. All of you can have a sigh of relief now. After watching, you will find that it was worth the wait. We can see Aamir in a restrained act of a wrestler. He portrays Mahavir Singh Phogat who expects to have a son and make him win the gold medal in wrestling for the nation someday. But, when he sees that he is blessed with two daughters Geeta Phogat and Babita Kumari, he feels as if his dreams are shattered. However, after seeing the result of a fight with two local boys, Mahavir takes it upon himself to train his daughters. He makes them world class wrestlers and they win awards. His dialogue “Hamari chhoriyaan chhoron se kam hai ke?” shows that women are equal to men. Well, many may feel that this is just another movie based on the same genre ‘wrestling’ similar to Salman Khan’s biggest hit yet ‘Sultan.’ However, Aamir’s upcoming film is more than just that. It is an inspirational story of a father who trains his daughters and makes them scale the heights of success. The film stars debutantes Fatima Sana Sheikh and Sanya Malhotra as Geeta and Babita respectively. These two women wrestlers won gold and silver medals at the 2010 CommonWealth Games. Their life story seems to promise as the flick. Directed by Nitesh Tiwari, the Dangal release date has been finalized as December 23, 2016. A short bio of Mahavir. He was born in a small village of Haryana and trained his daughters. Geeta and Babita had the hunger to be the world class wrestlers. He helped them to be what they wanted. Breaking conventions, he let his daughters wrestle in an akhaada with boys. For this, he faced objections several times but didn’t move back. Geeta and Babita won gold in 2010 and 2014 CW Games respectively. Moreover, Geeta also qualified for Olympics too and became the first Indian female wrestler to reach that stage. Adding to it, Mahavir has been the coach to many top Indian wrestlers. He has been nominated for the Dronacharya Award.